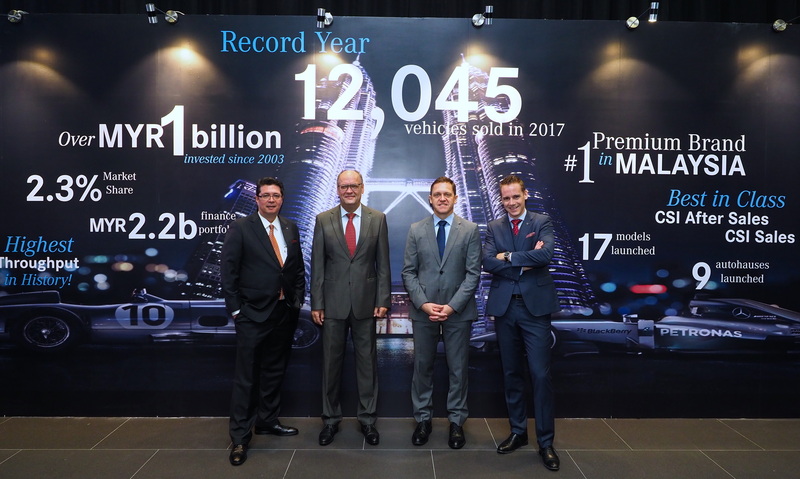 “Automotive excellence goes beyond the vehicle, it encompasses the entire customer experience” and towards that end, Mercedes-Benz Malaysia recently held its inaugural Dealer of The Year awards aimed at identifying the best and brightest among its 33 dedicated dealerships nationwide, and recognising excellence in five key performance measurements during 2017. Mercedes-Benz Malaysia presented a total of six awards for Best Performance in Financial Services, Best Performance in Business Excellence, Best Performance in After-Sales, Best Performance in Sales, Best Performance in Customer Satisfaction Index (CSI) and Customer Loyalty Index (CLI), and the ultimate award – The Dealer of the Year 2017. Asbenz Motors Sdn Bhd emerged victorious for Best Performance in Sales, while Cycle & Carriage Bintang Bhd (Johor Bahru) won for Best Performance in After-Sales. Best Performance in CSI and CLI was awarded to Cycle & Carriage Bintang (Northern) Sdn Bhd (Juru & Bukit Tengah), and Hap Seng Star Sdn Bhd (Kinrara) earned the Best Performance in Business Excellence. Hap Seng Star Sdn Bhd (Jalan Ipoh) picked up the award for Best Performance in Financial Services. 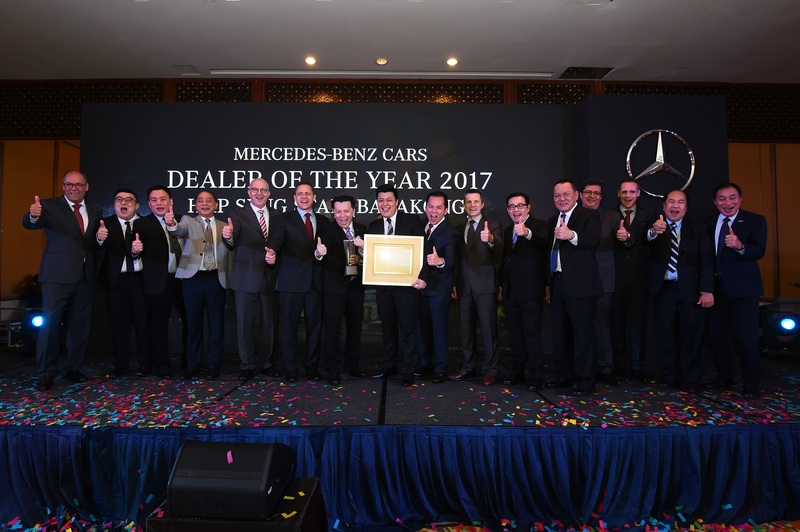 The most coveted award, the Mercedes-Benz Malaysia Dealer of the Year 2017, was presented to Hap Seng Star Sdn Bhd Balakong dealership – achieving the overall highest scores in all aspects of sales, after-sales, customer satisfaction index, customer loyalty index, business excellence and financial services. 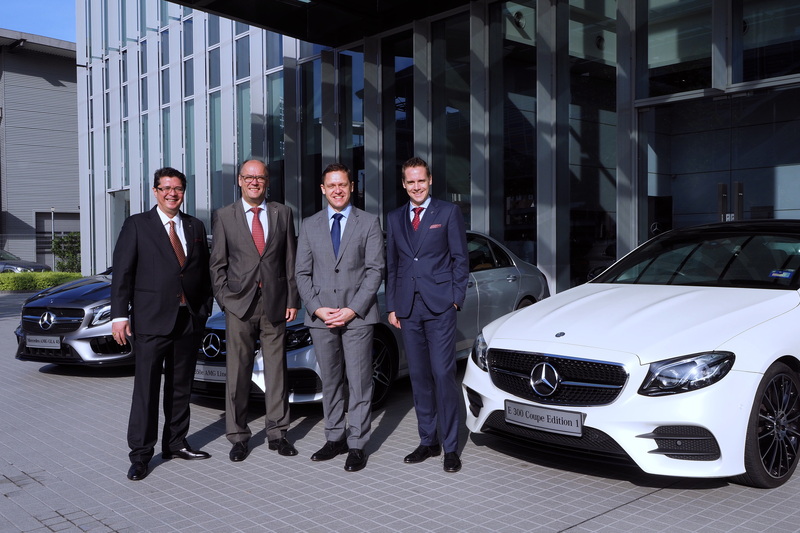 “We are honoured and pleased to receive the inaugural Dealer of the Year award from Mercedes-Benz Malaysia. Our Mercedes-Benz Hap Seng Star Balakong Autohaus is truly deserving of this accolade, having committed to delivering exceptional standards in all aspects of the business. Hap Seng Star is, and has always been, dedicated to putting the customer at the centre of our activities and we commend our colleagues at Hap Seng Star Balakong for their combined efforts in achieving this award,” said Chief Operating Officer of Hap Seng Consolidated Berhad and Chief Executive of Hap Seng Consolidated Berhad Automotive Division, Harald Behrend. “With these awards, we recognise the commitment, dedication and passion of our dealer partners to support our promise of delivering the Best Products and the Best Customer Experience. 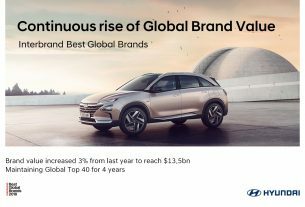 On behalf of Mercedes-Benz Malaysia, I congratulate all our dealer partners for their commitment in living up to the three-pointed star’s The Best or Nothing motto. And a special congratulations to all award recipients on their remarkable achievements in 2017,” concluded Dr Weidner. 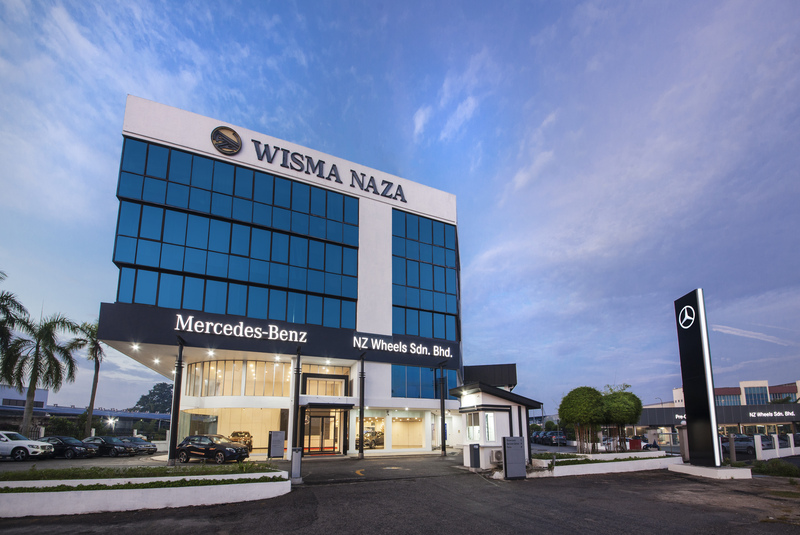 To-date, Mercedes-Benz Malaysia has 33 dedicated dealerships nationwide delivering the best products and the best customer experience throughout customers’ entire journey, maintaining Mercedes-Benz Malaysia as the largest premium automotive dealer network in the country. The latest Mercedes-Benz ‘Autohaus’ (above) was also just opened in Klang recently, and you can read about that here. Jaguar’s “Art Of Performance Tour” Is Coming To Malaysia!